« Little Bunny Foo Foo! Punishment administered has to be severe enough to cause the child distress to deter future challenging behaviour. I don’t know about you, but I myself have never been comfortable with intentionally trying to cause a child distress. Secondly, every child is unique, so what’s distressing for one child will have little effect on another. Additionally, children will get used to the punishments, so the severity of the punishment will have to rapidly escalate in order to effectively ‘distress’ the child each time! Unless you have a machine for delivering increasingly ‘non-harmful’ electric shocks, it’s actually impossible to distress a child to the same level whenever you feel like it. Punishment has to be consistent each time it is administered, so that the child can build an understanding that challenging behaviour will result in the same undesired consequences each and every single time. If there’s no consistency, then a child will have difficulty understanding the consequences of his challenging behaviour. He will also try to get away with it now and then, as well as frequently testing the boundaries. But how do you be consistent in the level of distress that each child feels with each punishment, especially when you’re dealing with a room full of preschoolers? And how do you ensure that different people administering the punishments are consistent in their approach? This may sound like the easiest of the 3 to achieve, but that doesn’t mean it’s simple! Punishment for a challenging behaviour has to occur immediately, otherwise a child will have difficulty linking the punishment with the behaviour (especially true for younger children, as their attention tends to wander very VERY quickly). Unless you’re a parent/carer with the luxury or focusing on just one child 24/7, you’re not going to be able to instantly deal with a child’s challenging behaviour the second it surfaces! Ok, so enough about behaviour problems and why punishing children is bad. What should we do then? One approach is by encouraging positive behaviour in children. Rather than focusing on dealing with negative behaviour, we try and promote positive behaviour, in the hopes that the positive behaviour will gradually replace the negative behaviour. It’s a whole lot more fun than being a punishment-maniac, and the long term results are much better! I also find that it’s a great way of dealing with exceptionally challenging children, who, shall we say, have ‘gained resilience to punishment’. I think that to inflict punishment so severe that would cause distress in a child will increase the level of cortisol (stress related hormone) in the child’s brain which will affect the child’s thinking processes. The effect then would be poor concentration, memory and attention. And in the long run, impaired cognitive development in the child. But if you don’t punish the child, what do you do? Some things are more important than your image. In the words of ‘The Rock’ “It Doesn’t Matter!”. I’m quite a random person, so I do love diverting younger children’s attention. Doesn’t work as well with the older ones though. You still interact with the child, ie. bring him out as much just not to places he may cause a scene until he is mature enough to understand reasoning and doesn’t throw tantrum every time you said no or don’t give in to his wants. I have trouble with your advice about not bringing the child to a place that she may have a tantrum or cause a scene. I would be home all the time! I need to give her opportunity to interract with other children and learn how to interract appropriately WITH other children in public. Sure it may be embarrassing but how else is she to learn how to act in those given situations? Err.. I don’t agree with severe punishments lah… As for consistency, well, being a SAHM, I tried to ensure my punishment style are consistent, but then you know, my MIL sometimes pampered Ben so it kinda make this method ineffective… as for immediate, I agree with that, cos’ children have short attention span. The moment you waste to punish them on the spot, they will move on and play their toys as they did nothing wrong! Ben is starting to behave that way, it’s not often done but at the moment, our method is to leave him lying there until he realised there’s nobody or nothing will be done for him. And that unless he get back up and behave, we’re not going to do anything. Are we doing it right? Yup, even if you agree with using ‘effective’ punishment, it’s not as simple as merely yelling at the child. Yea, I hate it when they go spineless, because normally they don’t just flop down, but they’ll thrash about like they’re having a fit. Not pretty to see, but worse is they don’t keep an awareness of themselves, so they’re very likely to hurt themselves, particularly their head. I can’t say if your method or mine is better (I’m not a scientist with 20 years of time and 2000 test subjects =-P). I’ve seen some good medium term effects, but it’s hard for me to see long term as I keep jumping from place to place. What I like to do is get down to the child’s level and try and calm them by trying to connect with them. It takes patience, as you have to put up with them not listening while they’re throwing their fit, but eventually they do calm down. Then I try and explain to them calmly and logically, i.e. what they’re doing won’t get them what they want. Focus on what the child wants as well, so that they’ll be more likely to listen, i.e. I don’t understand you if you act like this, tell me nicely what it is you want. If the process works, be sure to reinforce it in the child, i.e. later remind the child see, isn’t it better that you told me nicely what you wanted, or in the short-term when he acts up again, try and remind him, remember last time you did that, what did you get, and when you talked nicely, what happened? So it’s less of trying to reduce the spineless fits, and more of trying to encourage more well-behaved communication, so that eventually the well-behaved communication will be frequent enough to eliminate the occurrences of his fits. I don’t like ignoring children, as it’s not always convenient to do so, and it makes the child feel that at times, he won’t have someone to rely on. will try and post results. Well, luckily Ben’s spineless mode doesn’t involve thrashing about, he just lean back and lie on the floor. But he only does that when he knows someone (any of us) is near him to hold him before he touch the floor. Else you can see he slowly lean back, elbow touching the floor, then look around see any of us rushing to help him or not, then he lean further, head prop up while the rest of his body lying on the floor and then he starts fussing. Such a tricky fella at 13mths old! Even if Ben doesn’t seem to understand your language (by being able to repeat it), he will understand your calm and reassuring tone and body language. 13 months already, how time flies! Hi there! I only checked my blog just now ;p Didn’t log in for the passed weeks coz busy with assignments, works and exams until I didn’t even update it. Now, there’s even PERMATA curriculum that I didn’t have time to update in the blog ;p.
Seems like I keep seeing interesting stuff on your blog – I hope I am not flooding your comments here. One thing you mention in this blog post is that punishment could be replaced by “encouraging positive behaviour in children”. This seems to get close to encouraging praises, which really is only the flip-side of the same coin with punishment. Behaviorist (psychologist following Skinner’s school of thought) believe that only behavior is important. They ignore needs, motivations, cognitive functions or attachment. In the behavioral theory, punishment can be replaced by it’s positive flip-side, rewards, for better results with children. In this theory, it is often advised to “ignore negative behaviors and encourage positive ones to reinforce them”. The problem with this is that it completely bypasses that deeper root cause for which children displays these negative behaviors in the first place. In most cases, children will display a negative behavior because it is the only way they have to communicate an intense emotion they feel. The reason for the emotion (“I want a toy!”) is not as important as the profound NEED to feel validated and heard by the parent. The tantrum is a way to say: “I need to be listened to. I matter too”. Ignoring a tantrum only causes the need at the root of the problem to increase. Yes, eventually, the child will stop the tantrum: he will learn that “it doesn’t work”. But what it also means is that he will learn that “mom is not there for me when I am in pain”. or worst: “mom doesn’t love me”. These have terrible consequences: the child learns to emotionnaly detach and this has a lot of impact for a child’s brain development. The proper response from a parent, when a child starts a tantrum, is intense listening and connection. Stop what you are doing, kneel down at the same level of your kid, connect with the eyes, try to understand how your child feels, and name the emotion for him: “Aww. You seem really mad at daddy.” and “You wish I could buy that toy right now”. Get him to say yes: you are showing him that you understand and you care. This will stop the tantrum instantaneously. Then, once he feel he as been heard, you can then explain why you still cannot buy the toy. Interesting. I’ve heard of childcare settings where they have a “negative emotion” corner. Their negative emotion, anger, jealousy, etc, is acknowledged, and they go to a designated part of the room, where they can express that emotion. It’s important to note that they’re not being put in time out, or simply being ignored. I’m a big fan of the kneeling down with eye contact and trying to connect with the child method. 🙂 It’s amazing how a child will instantly stop their tantrum, as though they just needed to let it out of their system. Of course I’ve also had plenty of occasions where the child just ignored me as well. I am interested in a comment on your post. In particular cortisol levels. I am doing my dissertation on challenging behaviour in children. Could you please let me know your original source so I can do some more research. Many Thanks. The first article was my original source when I was doing some reading about resilience in young children. Hope the links provide what you are looking for. “Severe punishing or not?” – I guess thats a matter of personal choice…This could be a never ending debate since there are some parents who believe in punishment and some parents dont…It also has to do with the culture. For example, I’ve noticed that in many countries, its a normal practice to punish children in course of mishaviour etc..However, in countries like australia, usa, etc…it could even be termed illegal to punish a child. (I guess it depends on what degree). However, many parents in these countries are scared to punish a child worrying if thats going to be a psychology impact on child’s development or if thats going to get the parents into legal troubles! I’ve tried many methods myself…But my only advise is experiment. Try different techniques and I am sure you will find one that works for you.. I would also like to share this site that helped me in understanding and dealing with “Child Behavior Psychology“. You can find some practical tips and guides and I believe it should help other parents out there in dealing with tantrums, attention seeking, misbehaving child and many more free resources.. I think the current law in the UK is, parents may strike a child, as long as it leaves no visible mark. I think that is correct, As soon as you leave a mark or bruise it is classed as abuse. I am glad i found your blog purly by accident as i was looking for more info on scemas and wandered off to read this too. thanks for all the helpfull ideas as i have a spinless but i call it a case of the stop,drop’n’flops as she is 19m and just stops, drops then flops in a fit of rage but only when she cant have own way. I chose to try and explain in a calm way that its not nice and offer a hug and that seems to have worked. Ignoring her made it worse but she has stopped doing it as much now. I am currently dealing with a 2year old who is the most lovely little boy to be around. Although he cannot seem to deal with his frustrations very easily, which results in him acting out, today,. for no reason i can think of, whilst sat in the buggy he kicked me repeatedly, even after i explained it hurt, was not nice and made me sad. as i was explaining to him, he hit me in the face. this level of aggresion is not usually what happens, although he is very verbal in leting me know when he is not happy about something. like todfay, i cant always tell what is wrong. i dont know how to get him to express himself as obviously the level of language is limited at just 2years! He pushes the newest baby even tho he adores him and seems to like him lots! he pushes him over and hits him with toys, and also throws things at my cat! i excpalin all this to mum and she seems very concerned but doesnt seem to follow things through like i do. he can also play deaf! he doesnt hear what he doesnt want to and most of the time blatantly ignores me when it comes to finishing an activity or having his nappy changed. but then lots of thje time he is ready and willing to do as he is told. we have an excellent relationship apart from these daily incidents, but it is becoming increasing frustrating for me now as im not sure mum and dad are helping! children need to be punished i am not saying smack the child or yell but if the child does not see a consequence to their actions then this will teach them nothing. in public come dwn to the children’s level and explain to them what you expect. if you are going shopping with pre-school kids get them invovled this takes their minds off of toys and encourage them. if this is a child who constantly wants something from the shop explain to them before entering the shop and if they start in the shop come down to their level explain to them what they are doing and tell them that you will leave the shop unlss they behave if they donnt calm down leave – u can always go back for ur shopping. but try to keep the child’s attention directed with other activities. 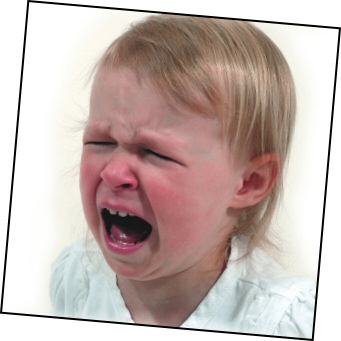 try using the assistance of a behaviour chart but this must be consistant and not carried out when you please move them up the chart for positive behaviour and down for negative behaviour even when using the time out spot, this shows the child that when misbehaving they will lose privaliges. If we start punishing children for each and every deeds, it may lead to some severe psychological conditions in them. What about handling these situations with love. We can advice them in kind words. The main thing a parent requires is a good understanding of their children. Even the professionals from child care organizations are following this procedure to monitor kids.